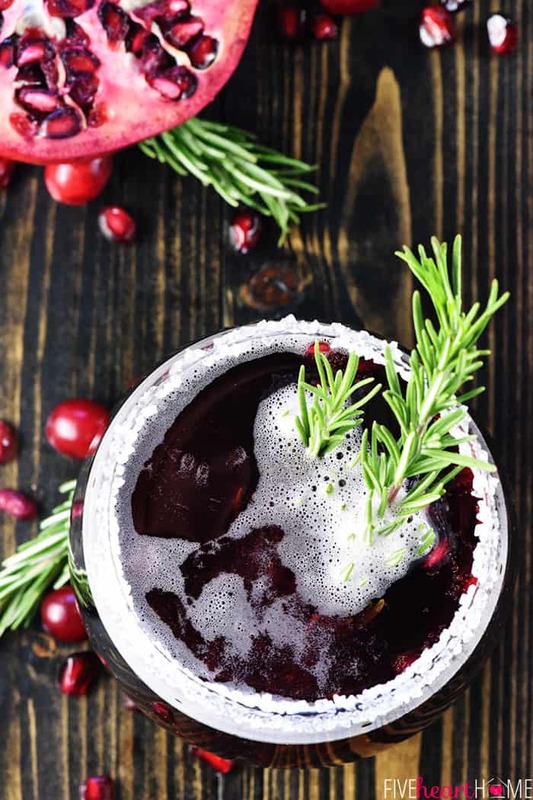 Easy Christmas Punch is a festive, sparkling beverage featuring champagne, pomegranate juice, and cranberry juice that’s perfect for holiday parties! There’s nothing like a good party punch. 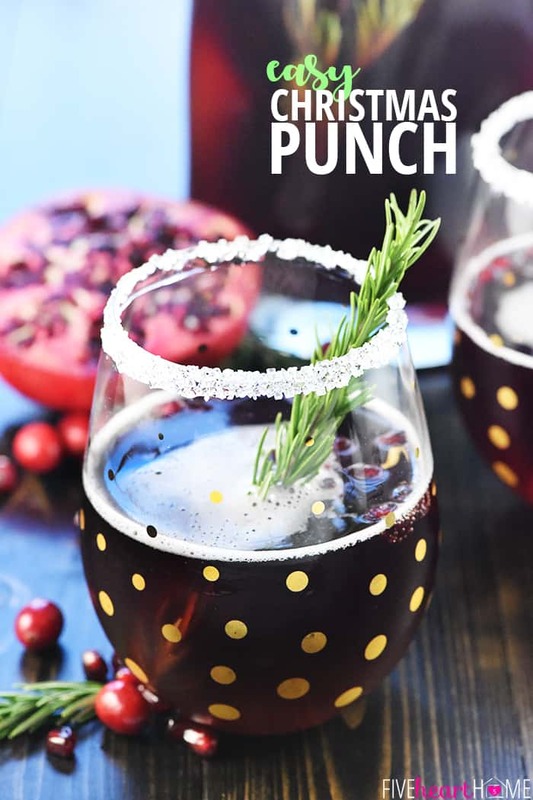 And in case you’re in need of one for an upcoming holiday gathering, Easy Christmas Punch is refreshing, yummy, and simple to throw together! Champagne makes this punch celebratory and bubbly, while it gets gorgeous color and fruity flavor from pomegranate and cranberry juices. There’s also lemon-lime soda for sweetness and a splash of lime juice for extra vavoom. See? EASY. 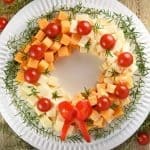 But in my opinion, what makes this holiday punch recipe extra festive are the garnishes. 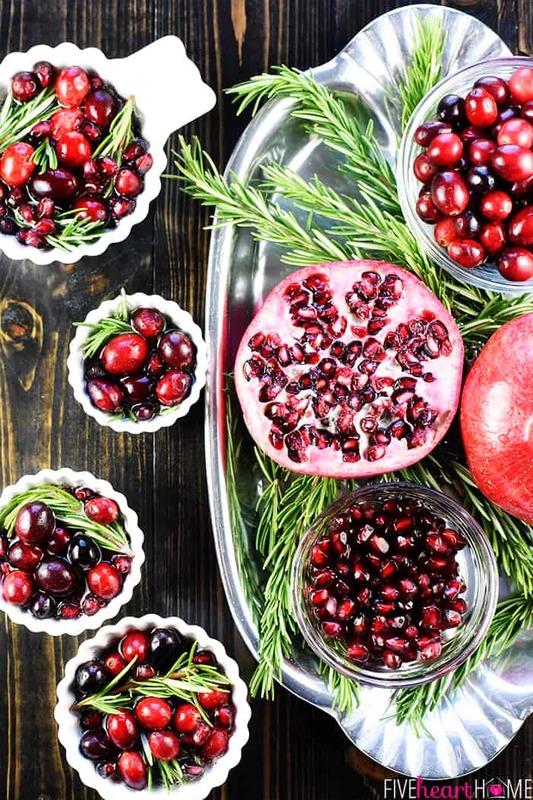 Fresh cranberries and pomegranate arils are not only indicative of the flavors of the punch but, set against sprigs of fresh rosemary, they’re also reminiscent of holly. 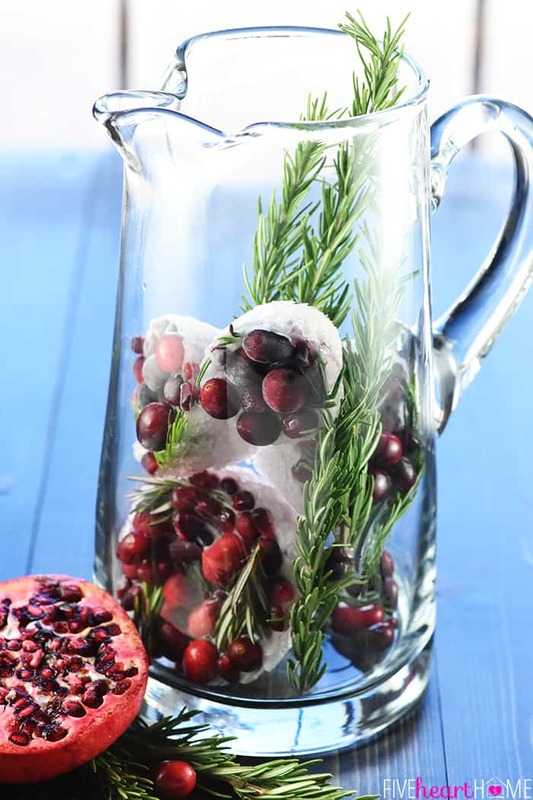 I actually made giant ice cubes laden with said fruit and greenery, to float in a punch bowl or suspend in a pitcher while keeping the beverage both frosty and, well, pretty. 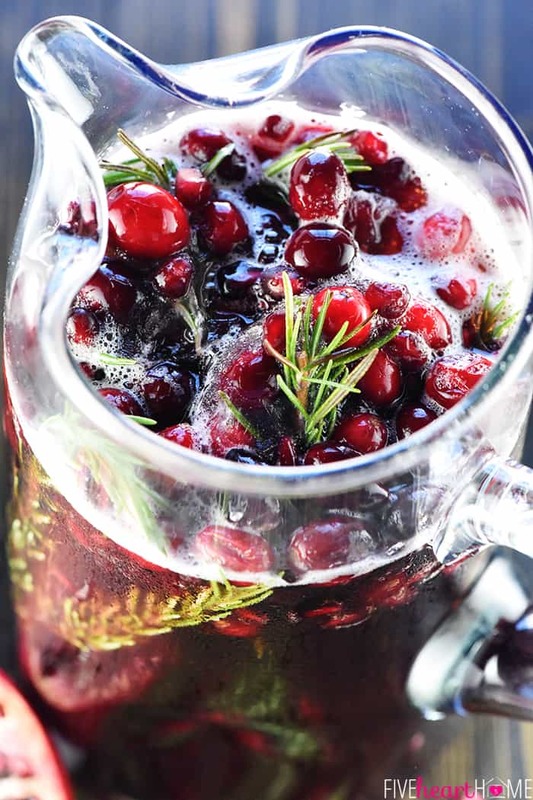 Additional cranberries, pomegranate arils, and sprigs of rosemary can be added to individual glasses for still extra cheer! 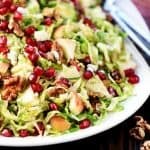 And while this recipe centers around champagne or prosecco, making it a boozy option for the adults, you could certainly make Easy Christmas Punch sans alcohol if that’s your preference. 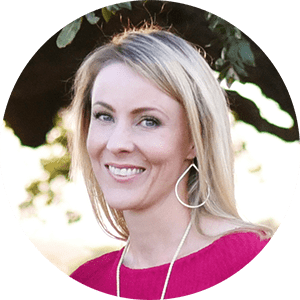 Simply swap out the champagne for a combo of sparkling water and lemon-lime soda, adjusting the ratio depending on how sweet you’d like your punch. So who’s ready to party? 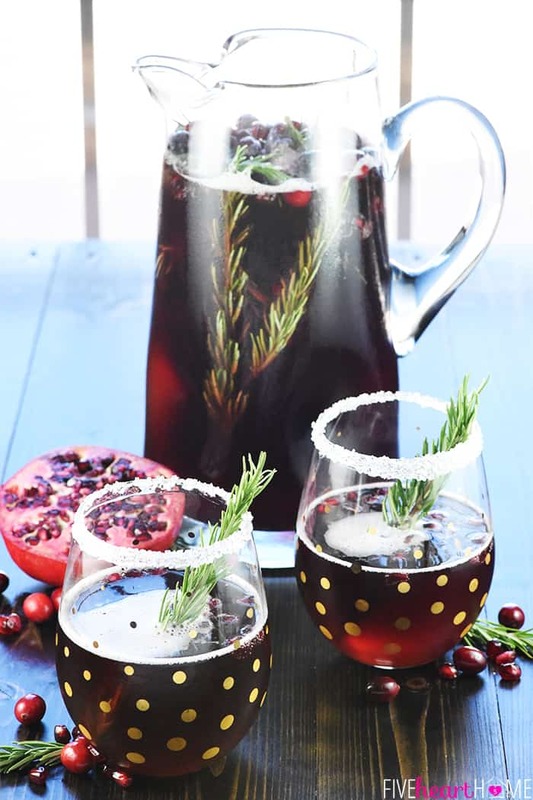 Whip up a pitcher for an intimate gathering, or double (or triple, or quadruple!) 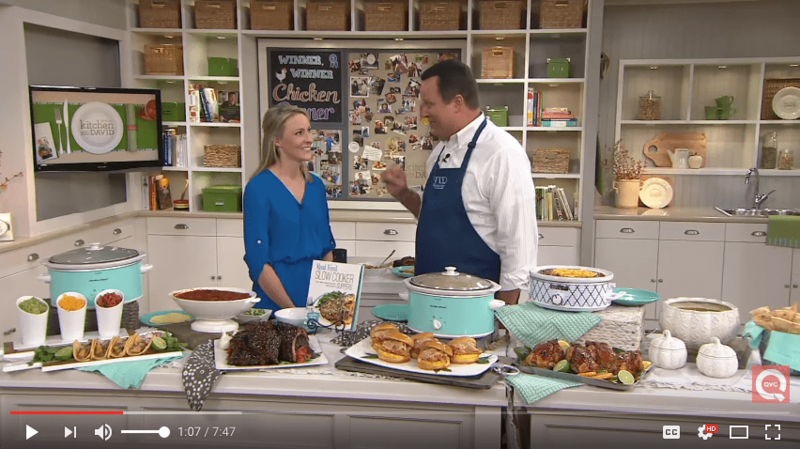 the recipe for a larger-scale celebration. 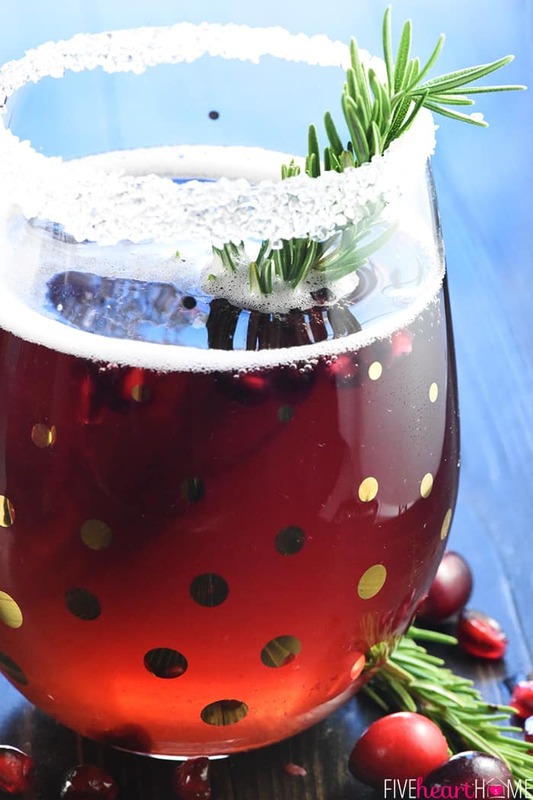 And despite its title, don’t think this sparkling holiday punch is limited to Christmas. 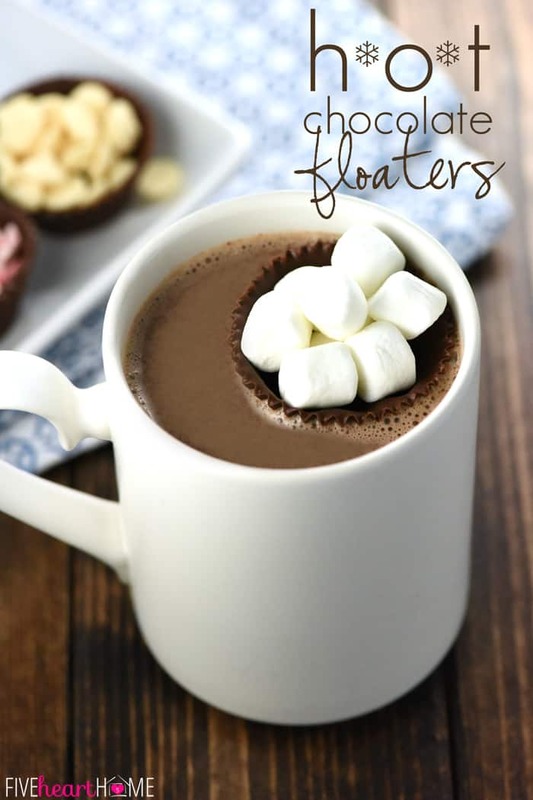 It’s also a nice option for yummy bubbles come New Year’s Eve! 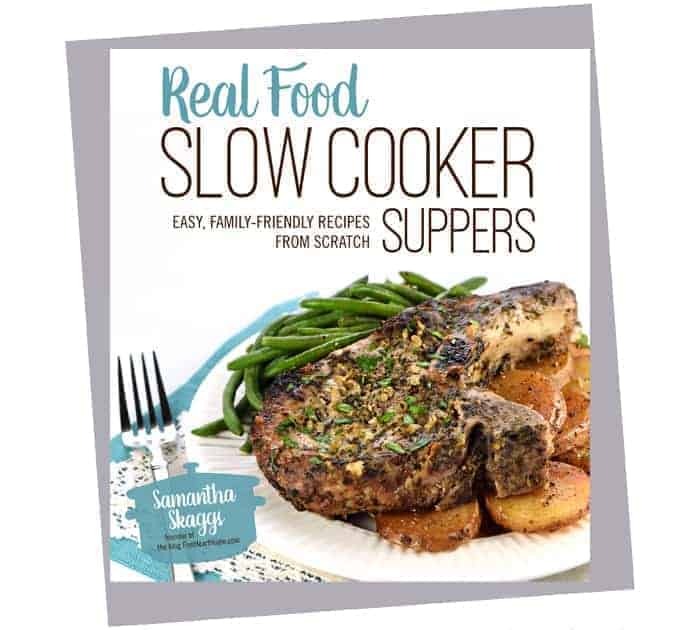 The volume of this recipe is approximately 100 ounces, plus ice, so be sure to make it in a very large pitcher or small drink dispenser. For a smaller pitcher, you may cut the recipe in half. To fill a large drink dispenser or punch bowl, you may double or triple the recipe accordingly. 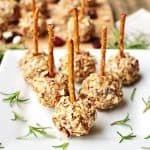 The cranberry juice used in this recipe should contain a combination of 100% juice (such as cranberry plus apple plus grape) with no added sugar. 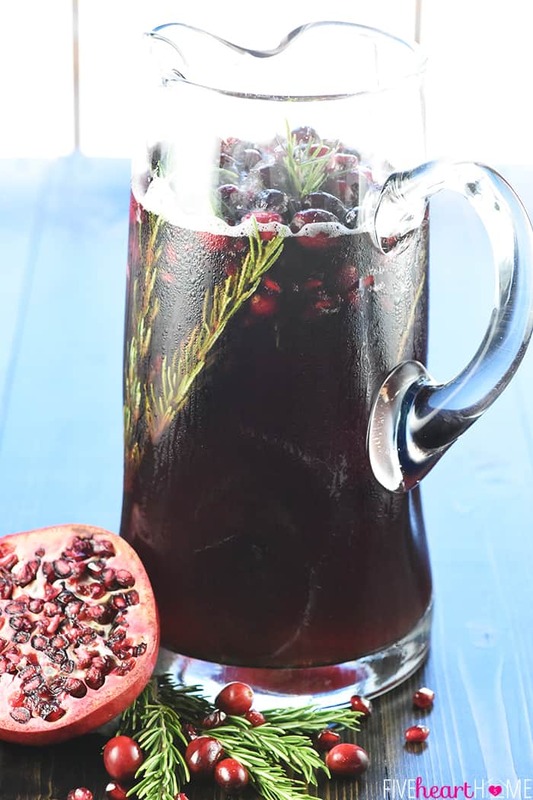 Alternatively, you could use a cranberry juice blend (such as cran-cherry or cran-pomegranate, etc.). I just wouldn’t recommend pure, unsweetened cranberry juice as it’s very, very tart. You may use ginger ale in place of lemon-lime soda. For a less sweet punch, use seltzer instead of lemon-lime soda. I recommend a dry (brut) champagne, prosecco, or sparkling wine. However, you may use a sweeter option for a sweeter punch. For extra kick, feel free to add a cup of vodka. For a non-alcoholic version of this punch, swap out the champagne for 3 cups of seltzer, lemon-lime soda, or a combination of the two. For sugared rims, pour a thin layer of corn syrup onto one plate and pour a thicker layer of coarse sparkling sugar onto another plate. Quickly dip the rim of a glass into the corn syrup and then press it down into the sparkling sugar. 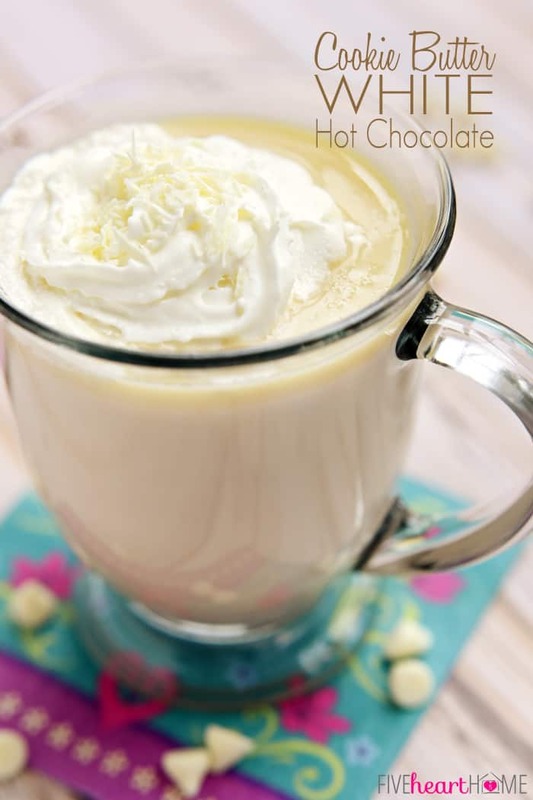 Just be careful not to get too much corn syrup on the rim or it will drip down the glass! 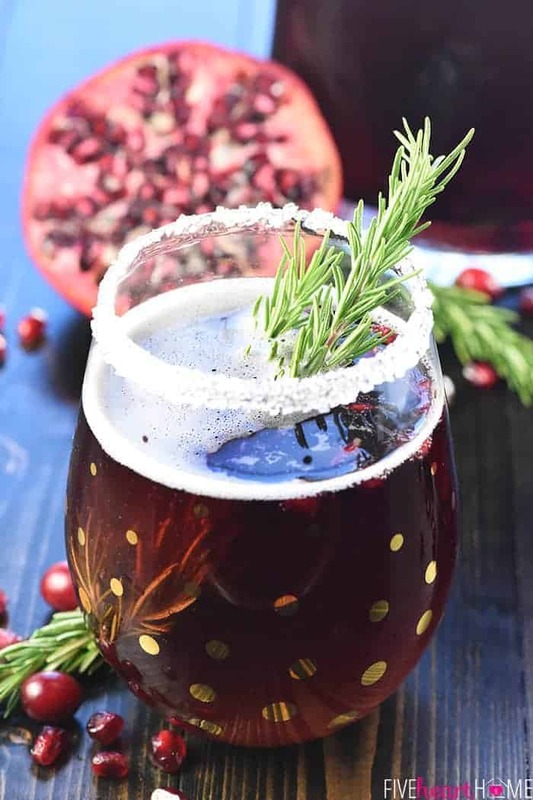 Easy Christmas Punch is a festive, sparkling beverage featuring champagne, pomegranate juice, and cranberry juice that's perfect for holiday parties! 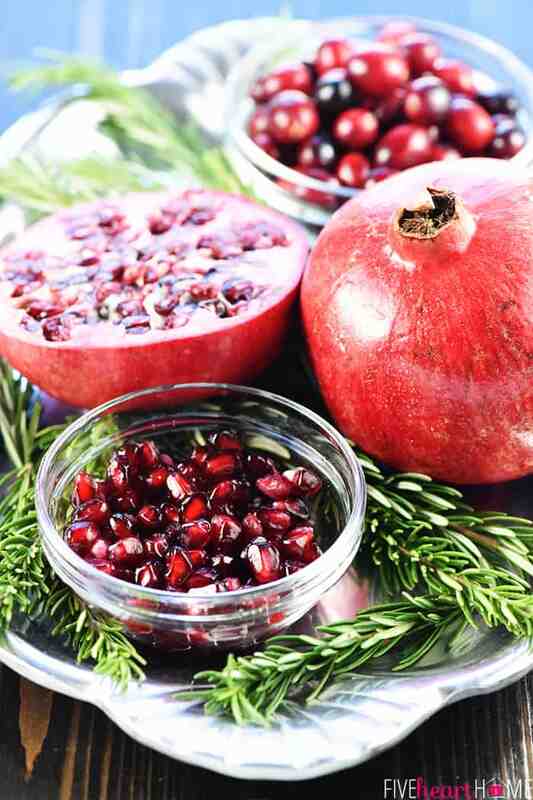 To make ice cubes, fill small bowls/containers with fresh cranberries, pomegranate arils, and sprigs of rosemary. Pour lemon-lime soda to the top of each container. Freeze until solid. 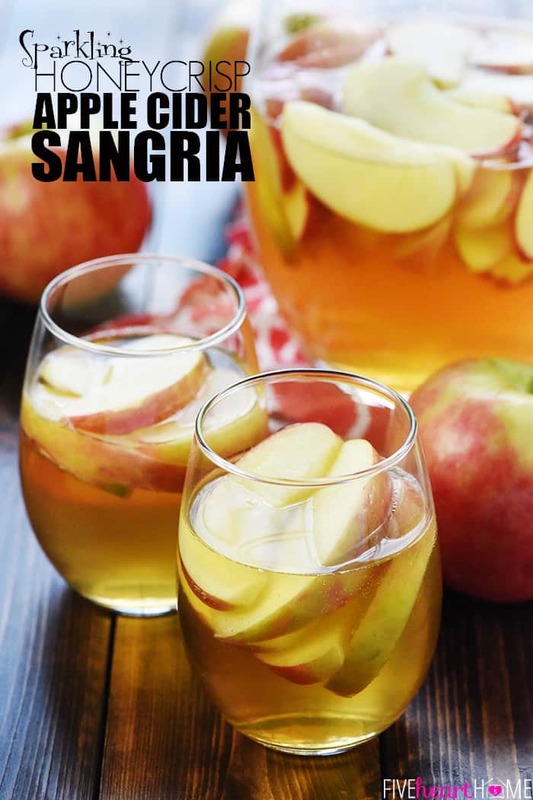 Just before serving, place the ice cubes in a large pitcher or drink dispenser. 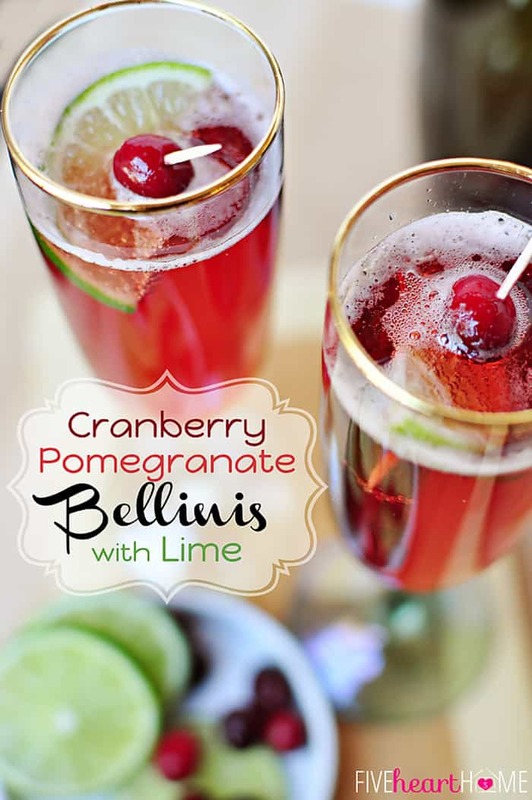 Pour the pomegranate juice, cranberry juice, and lime juice on top. Add the lemon-lime soda and champagne and stir gently to combine. 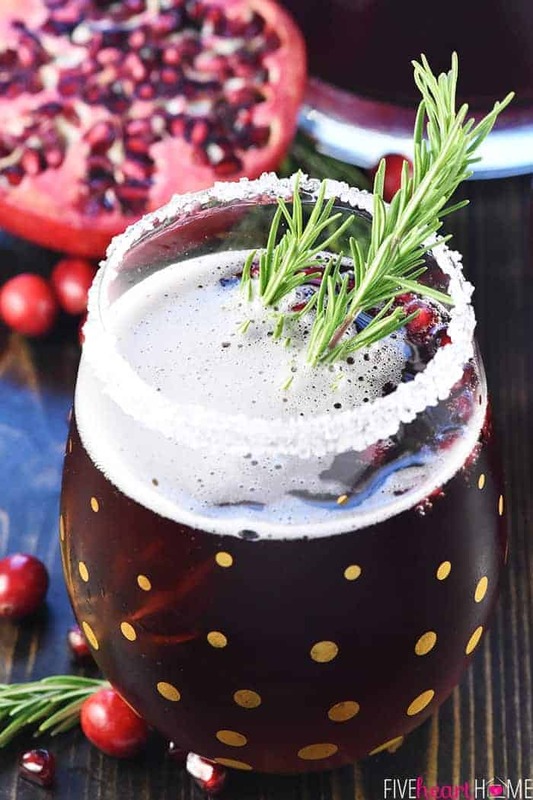 Serve in glasses garnished with additional cranberries, pomegranate arils, and rosemary sprigs. 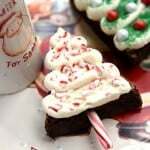 See all of our CHRISTMAS RECIPES <<< here! Gorgeous looking punch. It sounds so delicious too. Can’t wait to try.